Every citizen in DeKalb County has 2 county commissioners: a District Commissioner and a Super District Commissioner. These elected officials are your representatives in all matters of county government, including zoning, taxes, local ordinances and more. Let’s look at how these districts are separated and find the elected officials that represent you! The entire county is divided up into 5 main districts. 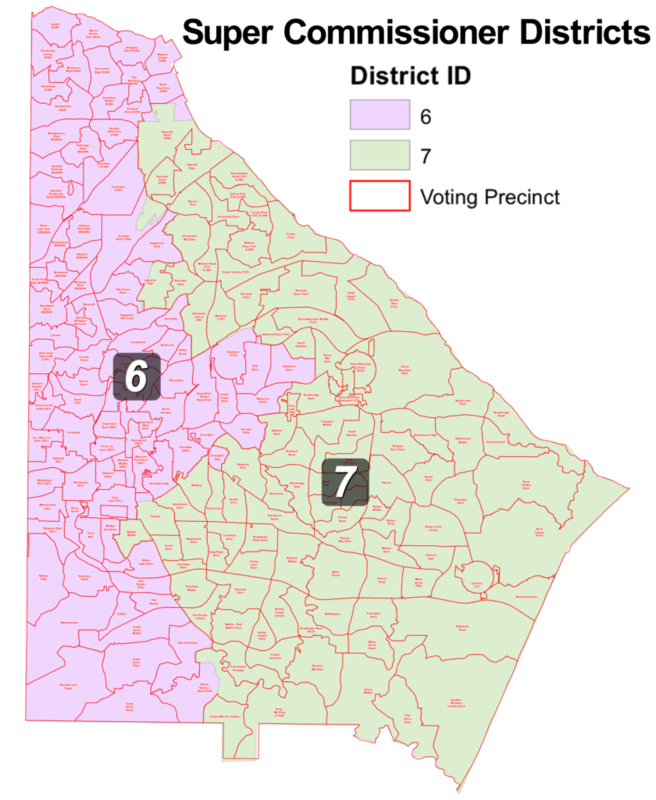 Each of these districts is governed by one DeKalb County Commissioner. These 5 districts are unique, each with distinct features such as demographics, local landmarks and forms of transportation. Step 1: Follow the link above and enter your address. Step 2: Choose the Elected Officials tab near the bottom of your screen and scroll to find your County District(s). Along with the 5 main districts, the entire county is divided into two Super Districts. 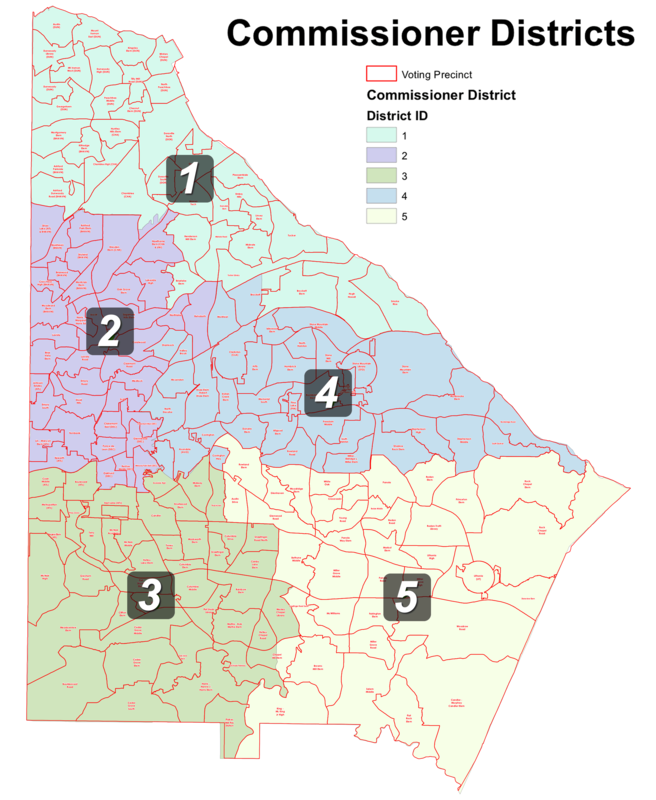 Just like districts 1-5, each super district is served by one commissioner as well. These two super districts each make up about half of the county population, with one district on the east end of the county (District 6) and the other on the west end (District 7). Below is a list of the current elected officials in DeKalb County. They each represent a district (or super district) as they are numbered on the maps above. If you’re not sure what district you’re in, call the DeKalb County Voter Registration & Elections Office at (404) 298-4020. An updated list of elected officials can also be found on the DeKalb County website. If you're still unsure about what district you live in, find a recent copy of your property tax statement. Your district number is located near the top under 'Tax District'. let’s take a look at how your neighborhood is zoned!